Along Espana Avenue stands the University of Santo Tomas, a Dominican university which was founded in 1611, making it the oldest university in Asia. 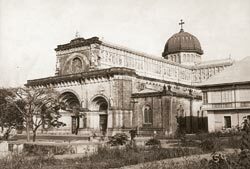 Its first campus was in Intramuros, a walled city built by the Spanish in the 16th century to be the seat of power. When the school moved to its present location in 1941, it brought some elements from the original campus, including the main entrance, called the Arch of the Centuries, which now stands in front of the school’s main building. Intramuros, the city’s oldest district and the address of choice during the Spanish occupation, now teems with commercial establishments, but heritage advocates can take comfort in the preservation of Fort Santiago, which served as the prison of national hero Dr. Jose Rizal prior to his death by firing squad in nearby Luneta park—then Bagumbayan—in 1896. The cobblestone paths have also been retained. Old catholic churches such as the Manila Cathedral, which has been restored six times since its construction in 1581, and the San Agustin Church, which was completed in 1607 and claims to be the country’s oldest church still standing, are still sprinkled around the area, providing a palpable connection between then and now. Outside Intramuros is Binondo, the city’s Chinatown. The enclave was created by the Spanish to keep the Chinese immigrants out of the walled city. But since its notorious beginnings, it has been transformed into a business and financial powerhouse as well as a cultural hotspot. Iron-grilled bank headquarters stand alongside restaurants and shops in this tourist spot that is also known for having the best hopia (bean pastry) in the country. Manila is the country’s political centre, with the stately Malacanan Palace, the official residence of the president, standing on the banks of the river Pasig. The city, however, has been showing signs of deteriorating health—heavy pollution hangs in the air and the river, praised for its beauty in Philippine literature, is dying. Perhaps these, like the dilapidated Spanish-style houses that line the streets, are also signs of its age. But Manila’s old world charm continues to beguile with the undeniable traces of its glory days. The city of Manila’s 1.6 million people get around in all kinds of public transport. Besides the Light Rail Transit (LRT) 1 which covers the north-south line and the LRT 2 which covers the east-west route, there are hordes of buses and jeepneys that go to the city from various points. 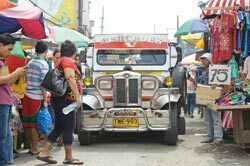 Taking the public transport can be quite an experience—jeepneys are not airconditioned and a short seven Philippine pesos (about 15 cents) ride can be enough to assault one’s sense of smell. Be sure to leave the jewelry in the hotel safe—and put the wallet in a place that’s difficult to reach— when trying the public transport system or walking around the city. Taxicabs cost more than other modes of transport, but with a flag down rate of Php30 (less than $1), taxi fares in Manila are a lot cheaper than those of other Asian cities. Cabs are the most comfortable option, but beware cab drivers who overprice foreigners, and make sure that the taximeter has been turned on. Better yet, take the cabs that queue at the hotel driveway—it’s the safest way to get around, the flag down rate is the same, and they’re more likely to charge according to the meter. If you’re lucky, a calesa (hose-drawn carriage) might be around to give you a lift in some tourist areas, but prepare to pay a relatively hefty tourist’s price for the service. The Ninoy Aquino International Airport is only 12 km away, with travel taking anywhere from 20 minutes to an hour, depending on traffic. It’s always best to give a lot of leeway for the travel to the airport — flights have been missed because of a little rain or road mishap. 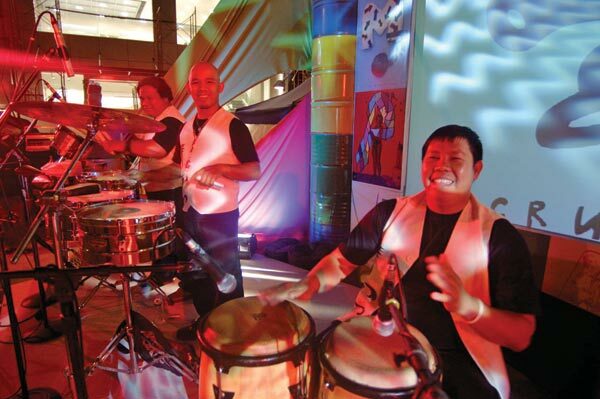 From luxury hotels to lodging houses, Manila has them all. The best way to choose the best accommodation for one’s budget is to go online, as most of the hotels and pension houses have an online presence and many have an online booking facility. The hotels are clustered along Ermita and can cost anywhere from $70 a night. Sofitel Philippine Plaza, on the fringes of Manila, is a luxury hotel with a resort setting and spectacular views of the Manila Bay sunset. Room rates start at $350 per night, and amenities include spa facilities, fitness centers and swimming pools. Backpackers can have their pick of accommodations in the Malate area, which becomes the happening place after sunset, with its rows of restaurants and bars. Friendly’s Guesthouse offers beds at less than $10, inclusive of a closet space, and use of the common area. 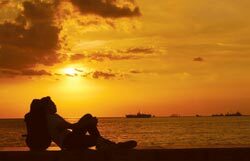 Catch the Manila Bay sunset: photographers flock to capture it, and lovers go to witness it. Take a leisurely stroll by the bay at around 5.30pm to see the spectacular sunset in its entirety. Walk to Malate for dinner or a nightcap afterwards, or go to the Cultural Center of the Philippines to catch a stage play. If you're lucky, multi-awarded international star Lea Salonga might be in one. Mall rats can go to any of the nearby malls – SM Mall of Asia is the world’s third largest – to shop, dine, watch an IMAX movie, or ice skate. History buffs can take a walking tour of Intramuros. The most popular is one organized by Carlos Celdran. Slap on some sunblock, wear comfortable shoes and bring lots of water — and an umbrella — for the three-hour journey to the past. If pounding the cobblestone pavement for a lesson in history proves to be too much, the National Museum of the Filipino People is open daily except on Mondays. Christianity is the dominant religion, but a significant part of the population is Muslim, while a smaller portion is Buddhist. Sunday is the traditional day of worship, but Catholic churches hold mass everyday. Filipinos are generally a hospitable and friendly people. Practices are heavily influenced by American culture and most people can understand and speak English. English greetings and expressions like “Hello,” and “Thank you” are commonly used, and a handshake is a generally acceptable gesture.